Matrix & Futurebound have been at the core of the dnb scene since they first collaborated in 2005. Two years later they released their debut album ‘Universal Truth’. Since then they’ve had four UK Top 40 hits, with ‘Control’ peaking at number 7 in 2014. They’ve also racked up millions of streams on Spotify. Now 12 years after the first album, the wait is finally over and they are ready to unleash their second album. ‘Mystery Machine’ is being released on Futurebound’s Viper Recordings and Matrix’s Metro Recordings on 12th April. 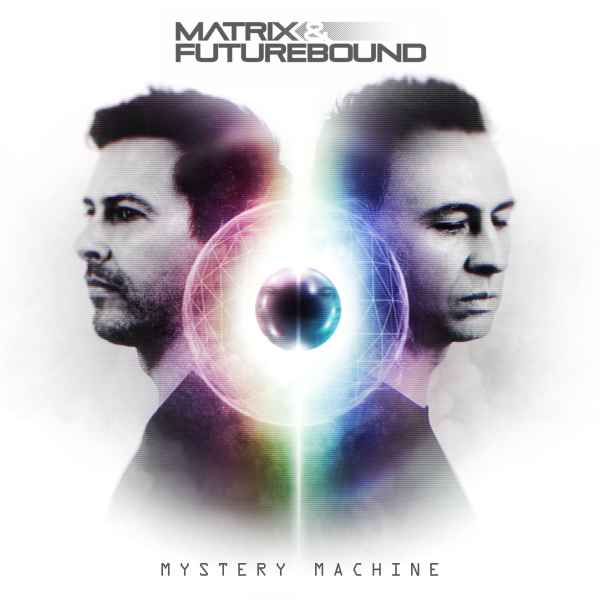 The album embraces everything Matrix & Futurebound have achieved and experienced to create their forward-thinking songwriting and crossover flavours; it’s why over the last ten years they’ve picked up so much global attention. With a headline ‘Matrix & Futurebound’ presents night at XOYO set for 26th May and more appearances to be announced for the dynamic duo, ‘Mystery Machine’, has already been provided with a worldwide platform. Today we premiere ‘This Time’ featuring James Walsh which is a brand new track for the album and an anthem that will have heads across the world singing along as the dance the night away.